If this garden snap from yesterday afternoon isn’t a sign that summer is getting away from me, I don’t know what is. Remember what it looked like not too long ago? Between longer-than-normal work hours, my Finance class, and various other time-suckers, nearly all my spare time’s been devoted to yard and house work – the daily maintenance kind, not the fun kind. And except for one weekend camping trip, we’ve yet to play at ALL! Pitiful. Finish up Finance class and map out the rest of my courses to finish my MBA.. let’s get this done already! What’s everyone got planned for the month? A cherry jalapeno pie? That sounds surprisingly delicious. It should be first on your list so you can tell me about it. lol.. cherry jalepeno jelly(: Or, jam, I guess more accurately. it IS delicious! Those veggies look pretty happy in their raised planters and drippers. You know how to do a garden for sure!!!!!! Thank you!! We are having fun experimenting! 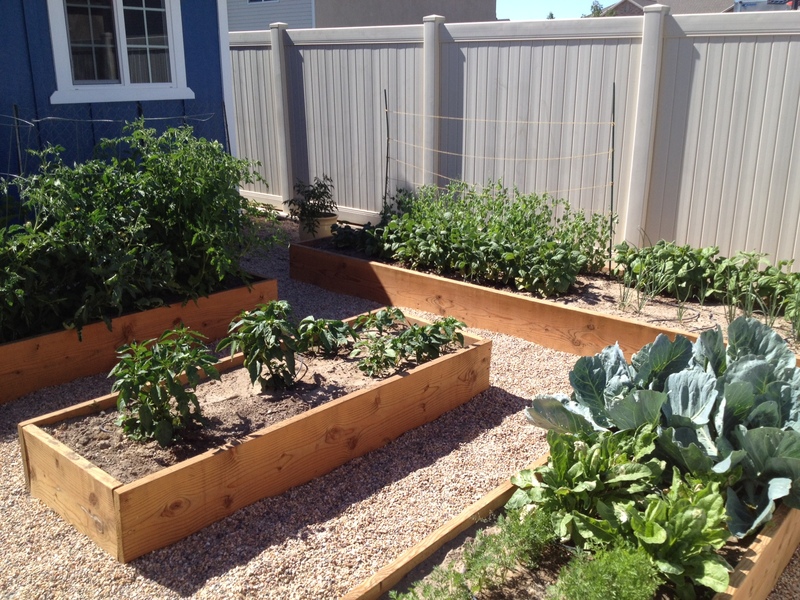 Your garden looks great and I can’t help but love how cute your little backyard looks! 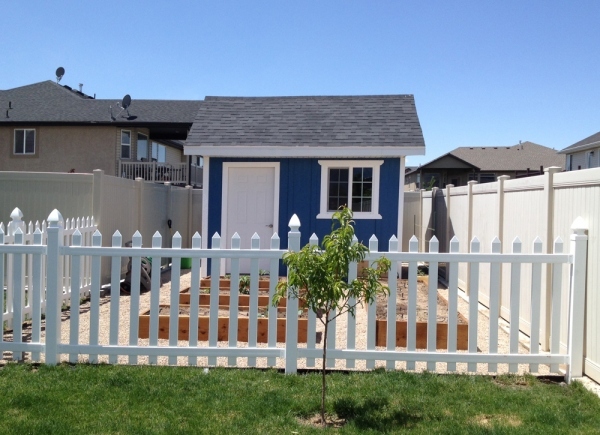 I’m still madly in love with that bright pop of color from your shed.